Create a custom crown with an icy twist! 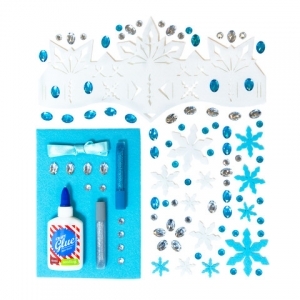 Our DIY craft kit has all you need to make a unique princess headpiece of your very own design. 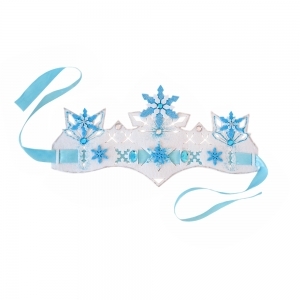 It comes with rhinestones, snowflakes, and a felt crown to make a tiara. You’ll shine in the magical frost of a winter wonderland. Recommended for ages 4 - 6. 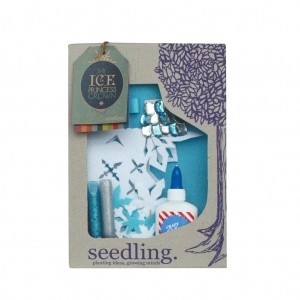 This Seedling Kit contains: Felt Crown, Assorted Rhinestones, Felt Snowflakes, Ribbon, Craft Glue, Glitter Glue and Instructions.